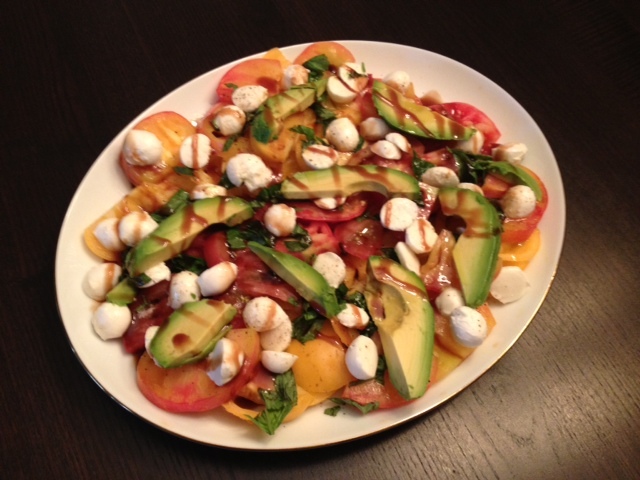 Heirloom Tomato Salad With Avocado, Mozzarella, Basil & Balsamic Reduction. This lovely salad is such a colorful and flavorful dish. I made it for a dinner party recently and it was devoured by all. It is a simple dish to prepare and only takes minutes to throw together. 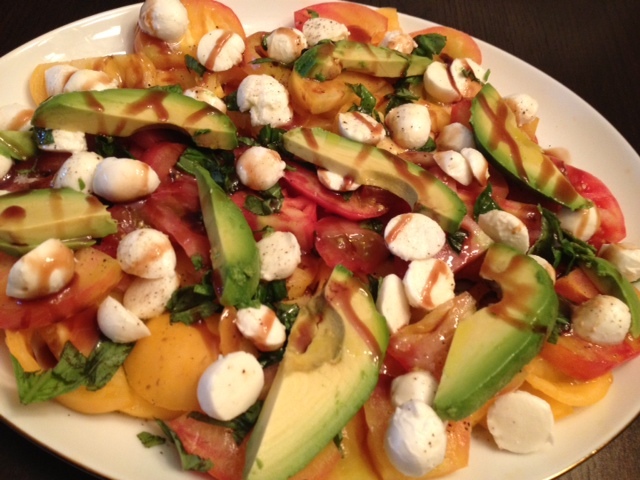 You can’t go wrong with this beautiful salad! 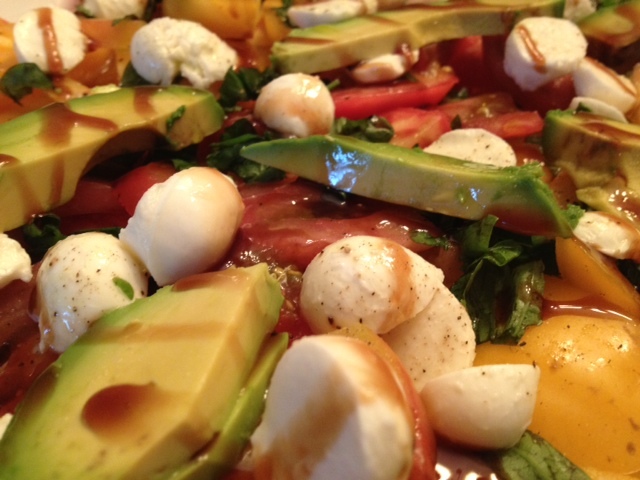 Arrange your tomatoes on a large platter and then layer on the mozzarella, basil and avocado. Drizzle the olive oil over top along with a generous amount of balsamic reduction. Finish off with a dash of sea salt and black pepper. ← Beef & Brussels Sprouts Stir Fry.